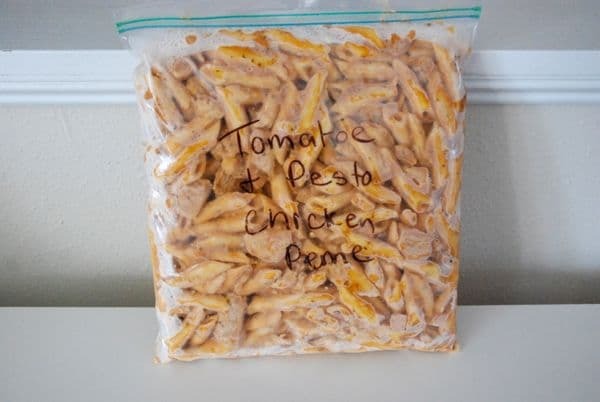 Recently my sister had a baby and I was looking for some good recipes to make that would feed our family, and freeze well for her. 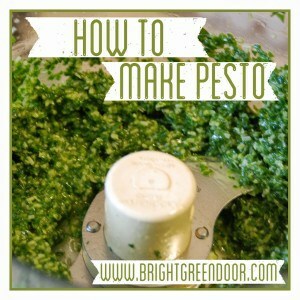 I also wanted a recipe that I could use Pesto in. In the summer I grow tons of basil and make tons of Pesto. Here is my recipe. I LOVE cooking all winter with something so fresh straight from the garden. To thaw the cubes I just pull them out and let them sit in the fridge for a day. 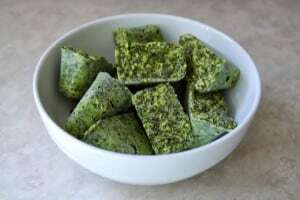 In large ziplock bag mix 4 cubes of Pesto with Lawry’s Marinade. Add in chicken pieces and marinade in refrigerator for 8-24 hrs. In separate pan heat olive oil, cook garlic. Add 4 cubes of pesto. Simmer in chicken broth until half has cooked down. Add tomato sauce. Then add milk and cream. Simmer for 5 minutes. Add cornstarch to thicken. Add in chicken mixture. 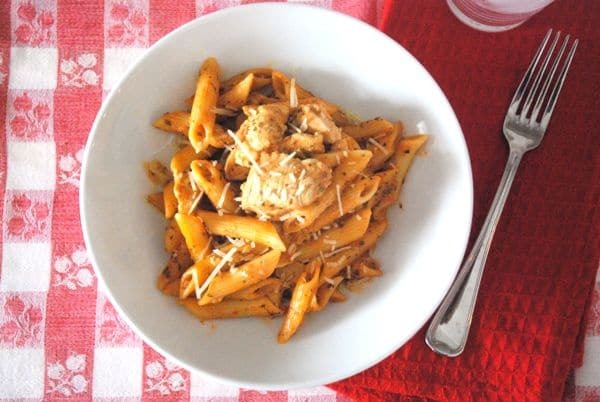 Cook pasta, then drain and mix into the chicken and sauce mixture. Garnish with fresh parsley or parmesan. Serve and Enjoy! 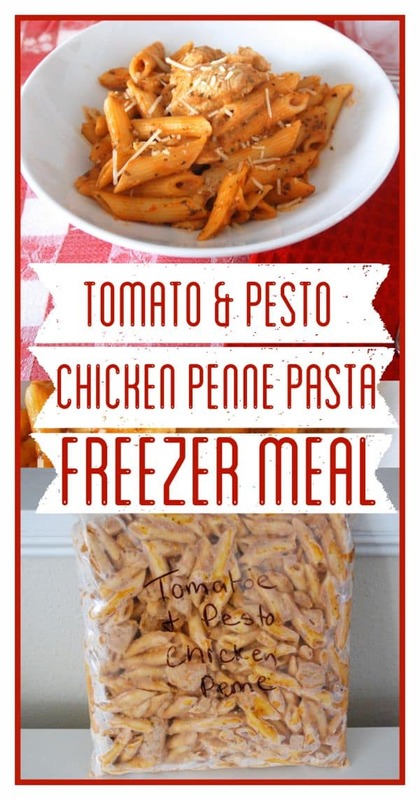 This recipe also freezes and reheats really well. I just poured it into a freezer bag and froze it flat on a cookie sheet. Then to reheat it I thawed it in the fridge for a day and heated it up in a skillet. 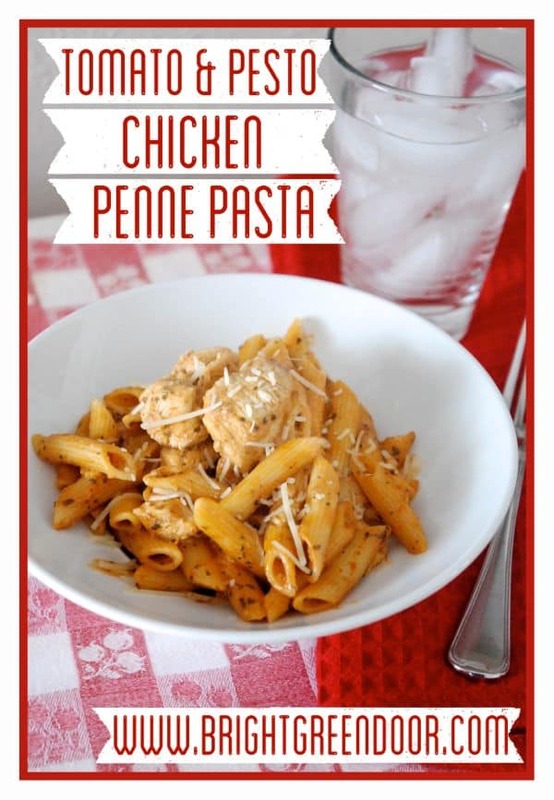 This recipe fed our family dinner, leftovers for lunch, and filled two freezer bags!